For all the cinnamon-sugar lovers out there, this is a delicious recipe! Keep it simple by topping them off with melted butter and cinnamon sugar, or kick it up a notch with cream cheese frosting. Prep the dry and wet ingredients. 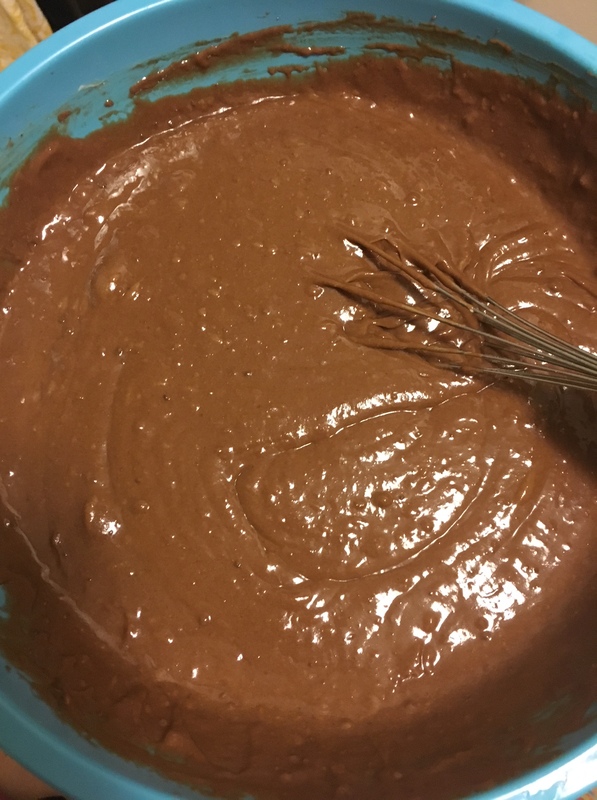 Whisk together the dry ingredients (flour, baking powder, cinnamon, nutmeg, baking soda, salt) in a bowl, and mix together the wet ingredients (buttermilk, vanilla) in a separate bowl. Cream together the butter and both sugars until light and fluffy, 2-3 minutes on medium-high speed. Add the eggs 1 at a time on medium-low speed. Mix until creamy. Add in half the flour mixture, the buttermilk mixture, and the remaining flour mixture. Mix until just combined after each addition. 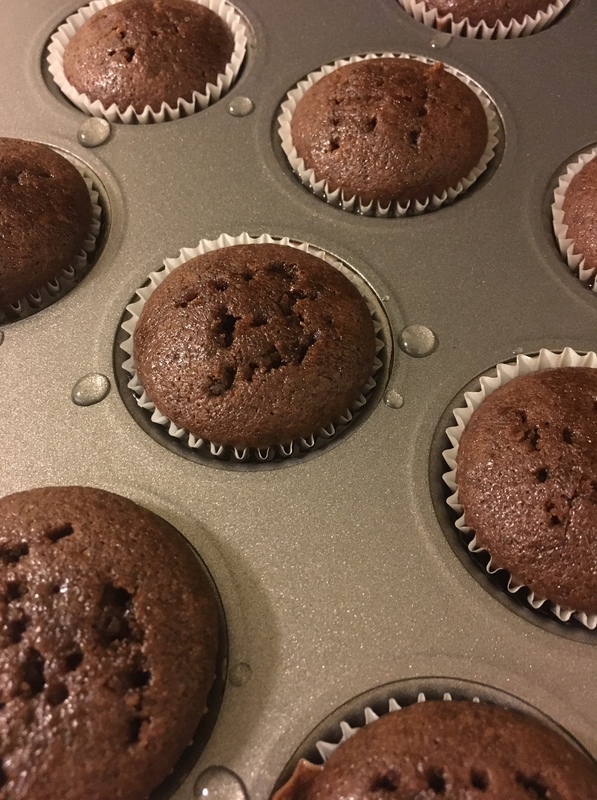 Divide into baking pans (makes about 16 cupcakes) and bake at 350 until a toothpick inserted in the center comes out clean. 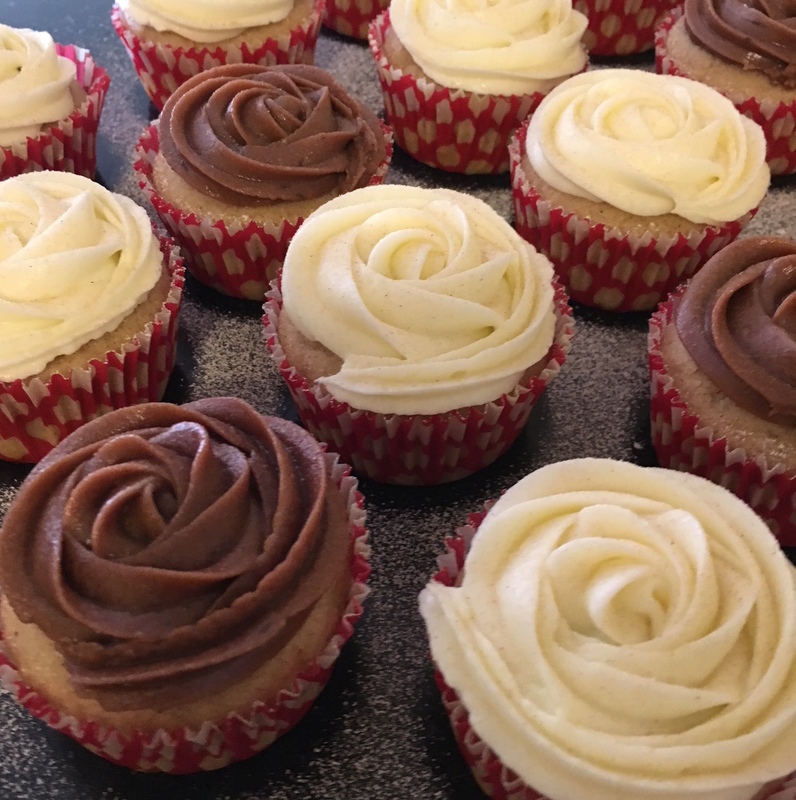 Cupcakes take 18-22 minutes. Top them off, and enjoy! This recipe originally from the Sprinkles Baking Book. A labor of love, and well-worth the result! These cupcakes are amazing. 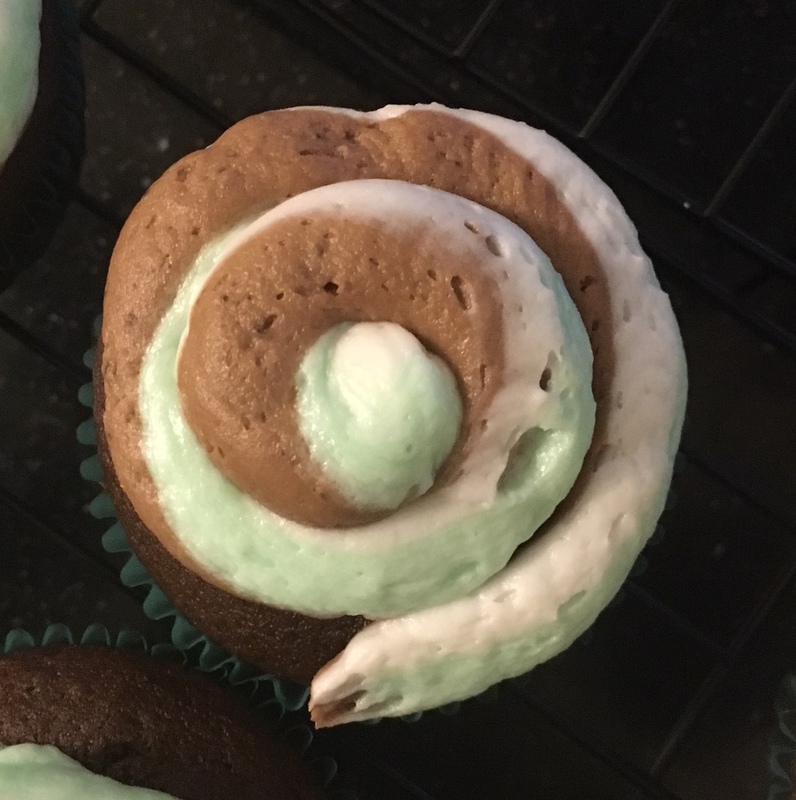 You could skip the frosting and just eat the cupcakes with the mint syrup to save yourself a step and eat these delicious treats sooner. Combine sugar, water, salt, and mint in a saucepan. Bring to a boil, stir to dissolve sugar. Remove from heat, cover, and let sit for 20-25 minutes. Strain the mint from the finish syrup (meaning, pour syrup through a sieve or colander into a container). After removing from the oven, poke holes in the cake/cupcakes and pour on mint syrup. Let the cake/cupcakes finish cooling in pan (for maximum syrup absorption), then remove. 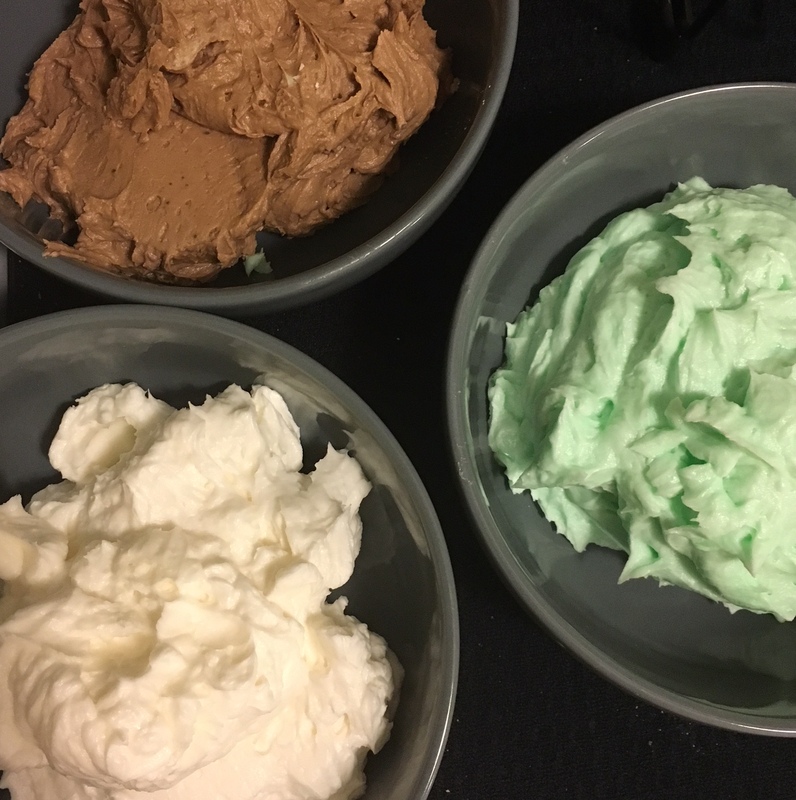 For additional labor of love, whip up a batch of plain frosting and divide it into three parts. Flavor one with mint extract, one with vanilla, and one with melted chocolate. Combine butter, cocoa powder, salt and 2 cups of powdered sugar on low speed until just incorporated, about 1 minute.